A Man Called Yarra is an inspiring memoir of overcoming hardship and striving for a better life. 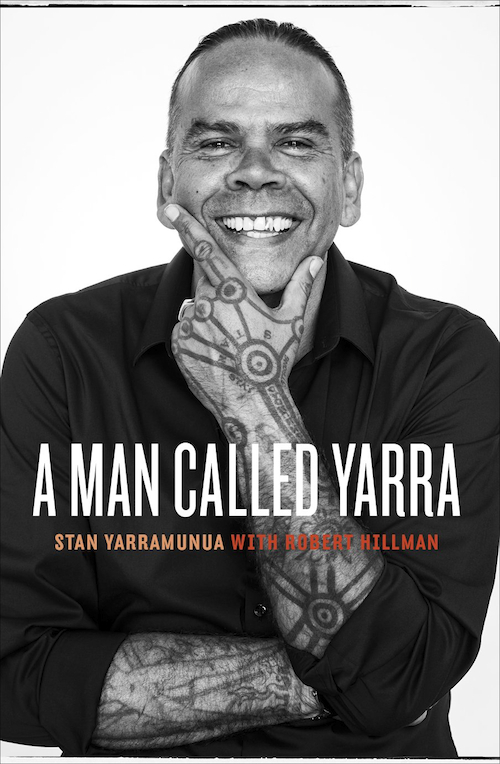 Join Robert Hillman as he chats with Yorta Yorta man, Melbourne artist, musician, businessman and charity worker – Stan ‘Yarra’ Yarramunua. From growing up in poverty in Swan Hill – and sometimes on the road, with his itinerant father – Yarra had a tumultuous and often rough childhood. He learnt early how to lift a wallet or two, and grew into a ratbag who looked set to follow in his father’s footsteps: fall into one too many skirmishes with the law; have one too many drinks, sliding down the path to alcoholism. Yet after years of addiction, Stan gave up drinking, discovered painting and found his true name of Yarramunua. Soon he was selling his traditional paintings, and hand-crafted clapsticks, didgeridoos and boomerangs, at markets across Melbourne. He opened one of the first privately owned Aboriginal art galleries in Australia, and represented Indigenous artists from around the country, including from the desert regions. Today, Yarra is an internationally renowned artist and performer. But he hasn’t forgotten his roots: he is committed to improving the lives of Aboriginal kids in his home town, and has helped many young Indigenous men find their way out of addiction and despair. This is an inspiring story of a remarkable man overcoming hardship, striving for a better life, and reclaiming his ancestry. Stan’s book launches on June 7 and we can’t wait to welcome him to Willy Lit Fest to chat with Robert Hillman. Book your tickets now!